My girls and NannyOgg’s 5 youngest kids were fast friends, and loved being together. 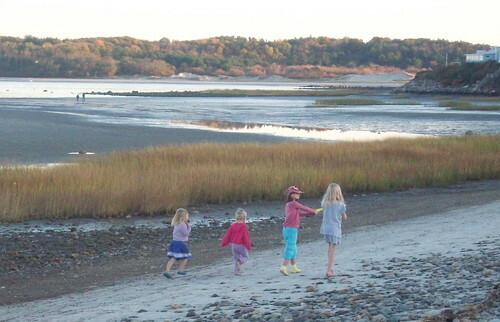 4 of the kids are below, sweetly running along the beach with salt marsh grass, foliage, and sand – what more would you want in a picture? Well, there are 25 great pics of the kids having fun together.